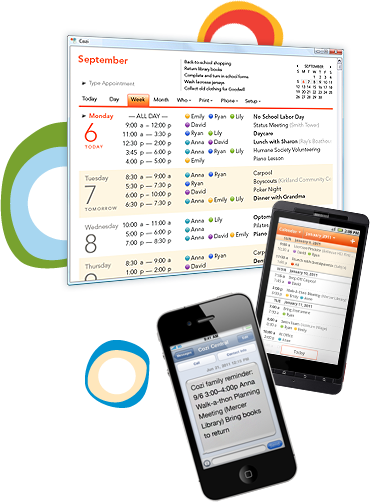 A large calendar is a key tool to keep any and every family organized. 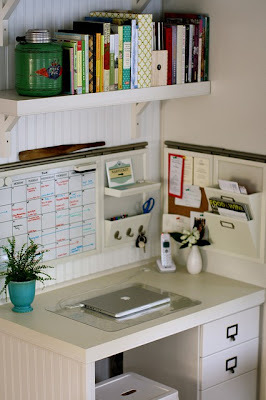 Post one in a central location (like this charming kitchen office nook), so it's easy for everyone to see at-a-glance who needs to be where and when. 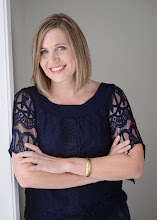 Consider assigning each family member their own color to label events & reminders. 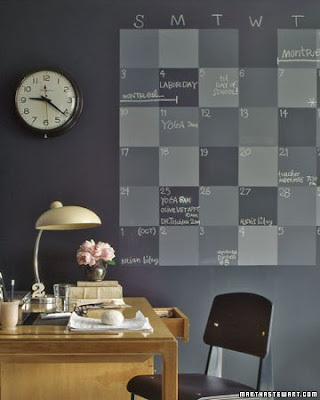 Paint a calendar with chalkboard paint right on the wall! 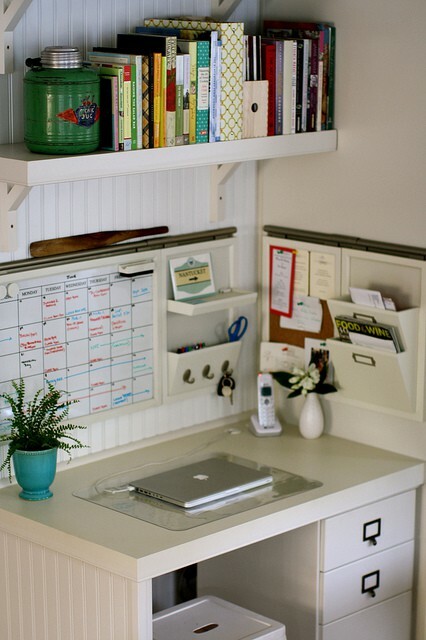 A kitchen or office would be a great location. 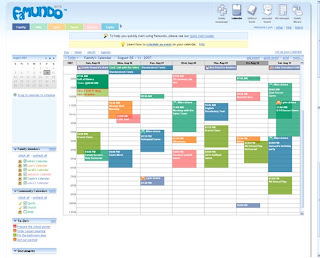 Do you currently use a family calendar? Which one of these is your personal favorite? I use a plain old monthly calendar on the fridge for the family to see and I carry my iPod touch and use it's calendar feature. 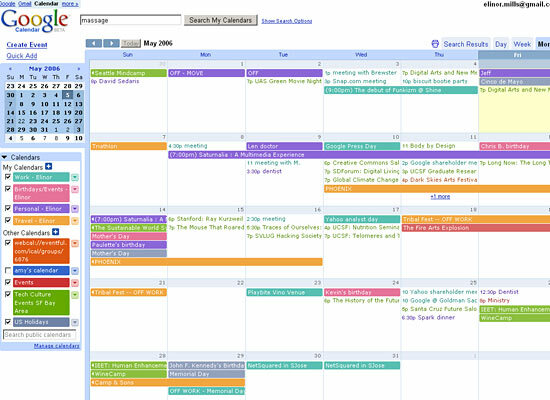 I really need a larger home calendar, though. 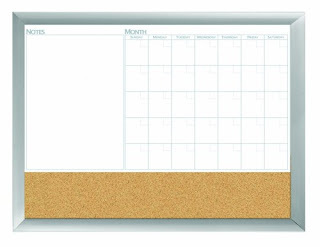 Thinking of getting a larger framed dry erase board calendar to hang in the kitchen.